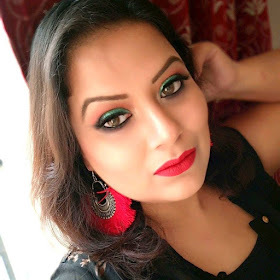 It has been ages that I haven’t reviewed any beauty product. 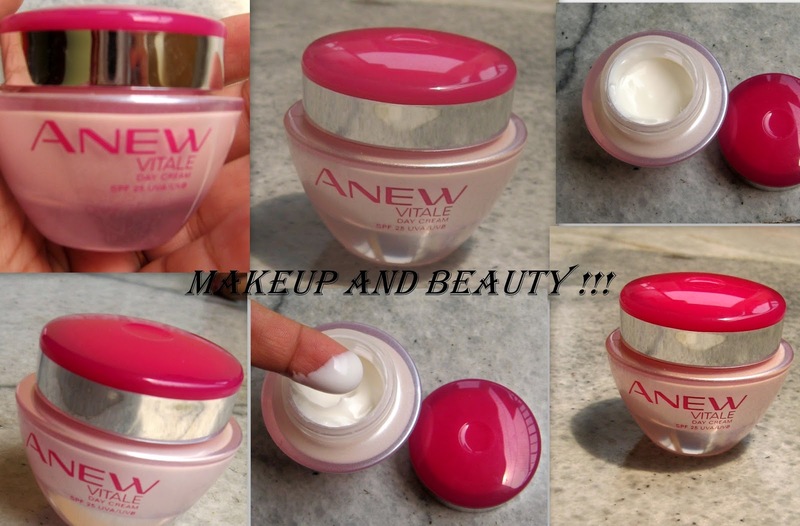 Just one month ago I got a parcel which contains Anew vitale day cream and Anew Vitale cleanser. Recently Avon launches Anew Vitale line that includes a cleanser, a day cream with spf 25 and a night cream. 5 Reason skin starts aging early, 1 reason it won’t. Power of pro energy complex for breakthrough results on fine lines and early signs of aging. The cream contain pro vitamin B5 that helps to fight the early signs of aging caused by fatigue and stress. Layers your skin with Spf 25 protection. Keeps skin cells balanced so skin functions more efficiently, improving skin’s protective quality. The first time I opened the parcel, I was really happy to get the cream mostly as I was thinking to try something new for summers that contains spf. And above of all the bonus it helps to reducers wrinkles , although I didn’t have any wrinkles till now only few I started to see just below the eye area. The cream comes in a nice small pink container that holds 30g of cream in it. The cream is white in color and little runny in nature. The container comes in a box which looks big but the container is really small. I was not satisfied to see the size of the container as the price is bit way too much. Coming to the cream, I took one month before I reviewed the cream as I wanted to see the result and the moment I am writing this post it is almost going end up half of the cream as I was using it every day. 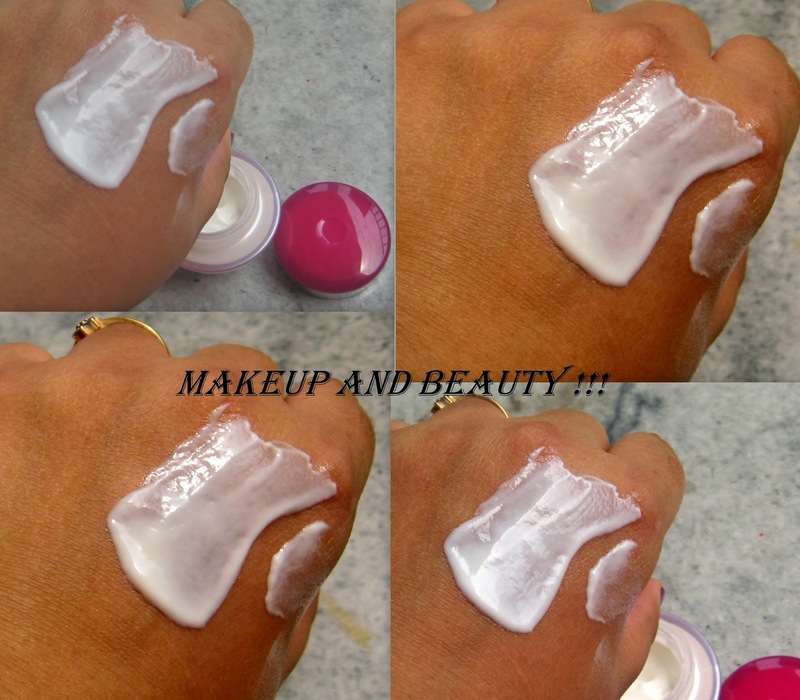 So here is my experience with the cream the first day I applied the cream , it looks greasy as I took a bit much so the next day I reduced the amount , then I found the cream easily absorb on my skin. The cream keep my skin hydrated and moistens for hours. I keep on using the cream for 1 week, then came to one conclusion that as I have oily skin so I am sweating a lot with the cream applied on my face. On second week saw two pimples on one of my cheek for which I think the culprit is the cream as it made my skin look greasy after 1 hour of application. In 3rd week the pimples gone, saw a slight glow and change of skin a bit which is obviously on good note. Finally on 4th week I saw same glow on my skin, nothing a change a bit ….so I guess the result is slow. Coming to the wrinkles as I told u I don’t have wrinkles but tried on the area below the eye drop wise everyday …nothing change my wrinkles …..they keep flaunting themselves till now happily but still I can’t say strongly that it won’t work on wrinkles…one have to try it for it . So shortening the whole review the cream might add glow and change the skin a bit but it is definitely not for oily skin, dry skin people can try it. The cream bit runny so require a very little amount for face. But as the quantity is really small so I think it will hardly go for 2months or less than that so compare to price one might found the cream bit pricey. Avon always comes up with some offers so if you want to try it then keep your eyes stick to the Avon catalog every month. · Good for dry skin beauties mostly. · The signs of improvement of skin are bit slow but good thing is atleast it works. · The amount is bit less compare to the price. · Definitely not for oily skin. I have oily skin and the changes I saw in my skin are bit slow and okay, not so drastic so on the basis of that my ratings will be 3/5. But I can say definitely the cream is good for dry skin as the cream keeps the skin moistens and hydrates a bit in summer. Avon Vitale day creams already launched in the catalog of March 2014 so if you want to grab one contact your nearest Avon representative.